The remainder of Manigault’s Brigade retreats from Horseshoe Ridge. Coleman’s brigade moves into space and attacks. Anderson’s Brigade falls back. Johnson’s Division continues the fight with Steedman. 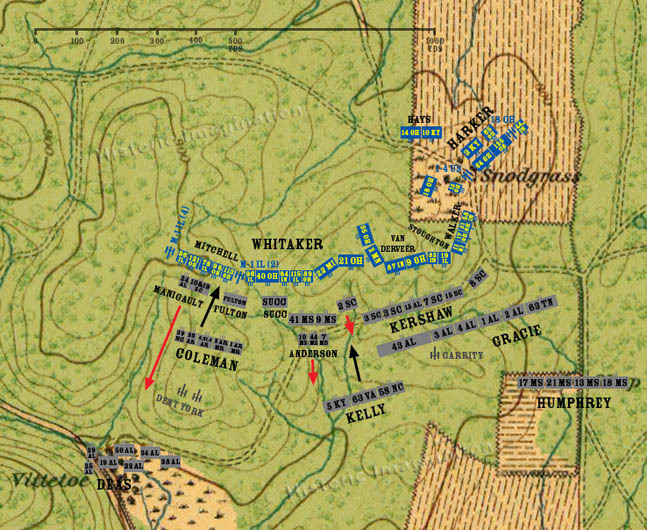 Gracie’s Brigade forms behind Kershaw, and Kelly moves his brigade to left to deploy next to Gracie.